Ridley’s Magic Trick Cards, a modern Svengali pack published by Wild and Wolf Ltd under the brand “Ridley’s Magic”, 2011. 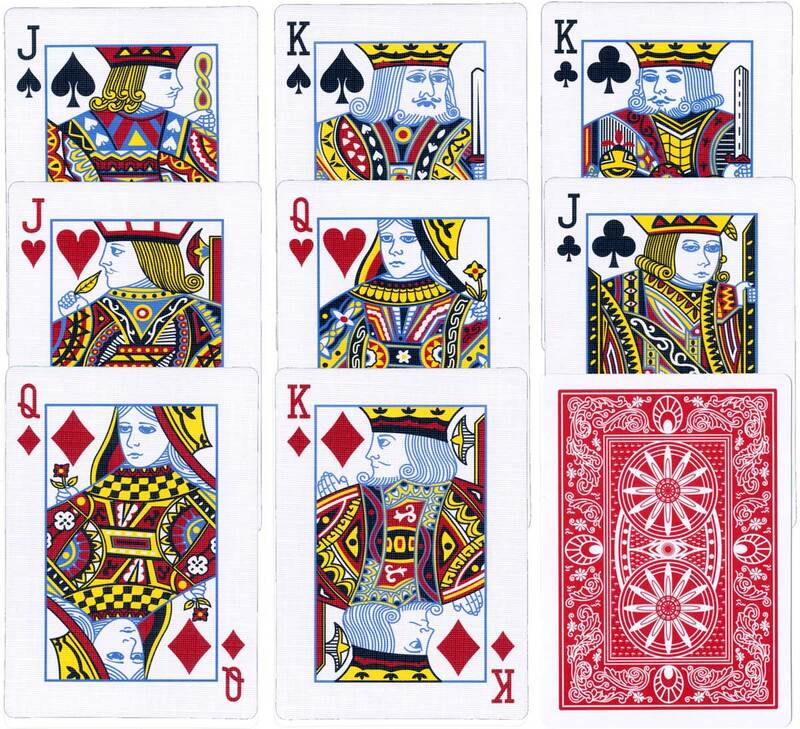 The pack is a standard Svengali pack, with the 9 of hearts repeated throughout, two jokers, a reduced number of ordinary cards (hence the reduced number of court cards), and instruction cards. Above: Ridley’s Magic Trick Cards, 2011. The cards, printed in four colours, are made in China. Images courtesy Matt Probert.